Shifting your mindset to embrace a leadership role can be difficult. It takes time and practice to fully make the shift, and along the way your team can struggle a bit. 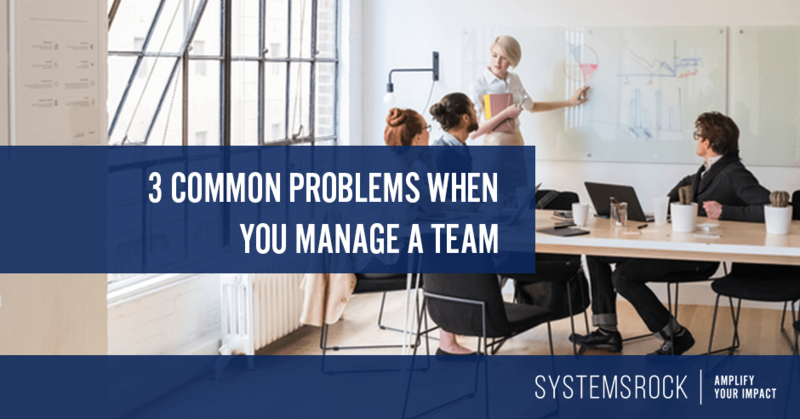 In my work with business owners and teams, I’ve identified a few common team management problems that many business owners face as their teams grow. Today I’m sharing these problems with you, and offering practical solutions to help you move forward. Problem One :: You can’t keep your hands out of every pot. The root cause? You don’t trust your team to do the work the way you would, and you are afraid the team doesn’t understand your intention or the importance of the task at hand. You’re probably right. Creating a step-by-step checklist or an amazing process is only part of the formula for effective delegation. You must also take the time to intentionally share the intent of the process and help them understand your mission and values. Once they understand and share your mission, you will begin to trust them to do the work effectively. Problem Two :: You fall back into old habits of communication. 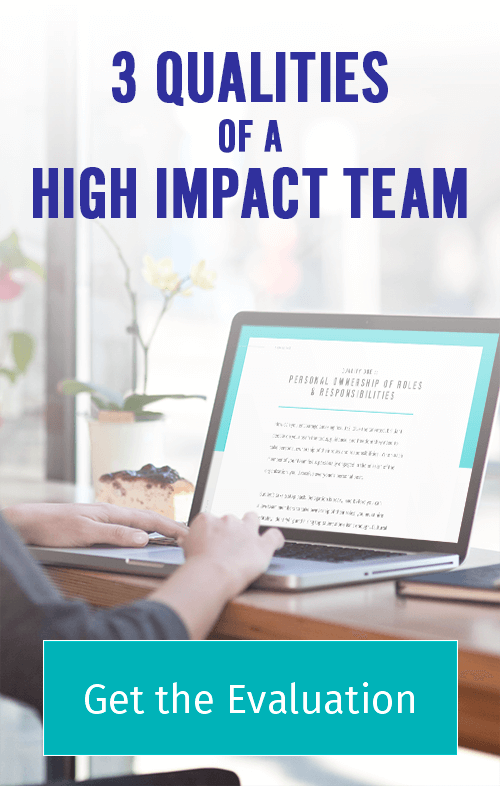 You’ve hired a project manager to help you make sure multiple projects are completed on time. The team is told to communicate with the project manager, making her the person responsible for adjusting expectations, gathering resources, and providing direction. It should be really simple, right? But it’s not. You find yourself emailing members of the team directly for updates…and before long the whole system falls apart. The root cause? Rather than going to the project manager, you communicate directly with individual team members because it feels easier and more natural. Despite your best intentions, you are still the communication bottleneck in your business. The solution here is simple. Allow communication to flow through the project manager as it should. Next time you want an update, talk to your project manager. Discipline yourself to point team members to the project manager for direction and guidance. Model the communication system you want for the group…and let the team follow your lead. Problem Three :: You keep making changes. You pride yourself on being flexible and responding to the needs of your customers. You enjoy being innovative, and your creative energy is apparent in your wealth of new ideas and initiatives. This is great, but it can create real trouble for your team. Why? Because in your mind nothing is ever finished until the very last minute…and your team is probably struggling to work this way. The root cause? Rather than creating a solid plan and then trusting your team to implement it, you change direction frequently and second-guess your strategy while looking for the “best” possible results. How can you solve this problem? Simply put a protocol in place to help you evaluate the benefits (and the costs) of any proposed change to a project as it’s being developed. Get key team members involved in the discussion and evaluate the impact the change will have in terms of momentum and motivation. You’ll likely find that the benefit of the last minute change is minor compared to the overall cost. Mindset is the hidden thread in all these problems. As your business – and your team – grows, you must grow too. You must move away from your old patterns of doing things and embrace a leadership mindset. The organization is expanding and becoming something more than the sum of your talents and abilities. It’s up to you to grow your leadership skills accordingly.